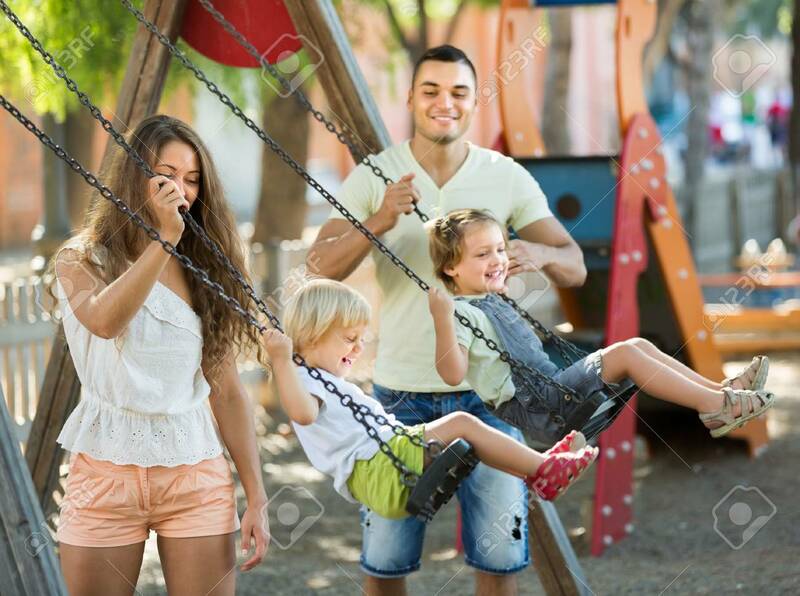 Smiling Young Family Of Four At Playground's Swings. Focus On.. Stock Photo, Picture And Royalty Free Image. Image 53494415.